Love them or hate them, talent shows have had a big impact on pop music. From One Direction to Fifth Harmony, some of the biggest acts in the world have been mentored and moulded by the talent show process. Yet none of them has had as big as big an impact as Adam Lambert. 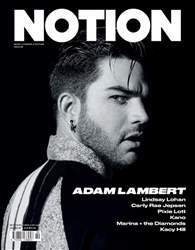 The first openly gay act to bag a number one album in America, Adam Lambert’s so successful, his awards and nominations have their own wikipedia page. In 2011 he was tapped by Queen, yes that Queen, to tour with them as a lead vocalist in the stead of Freddy Mercury and has gone to release a third album, join the X Factor Australia as a judge and continued to be an advocate for LGBTQI+ causes. It’s safe to say he’s got a lot to talk about.